Today year three student volunteers from Bluebell Primary School walked to Eaton Park with Miss Davies and TA Mrs. Atkins. 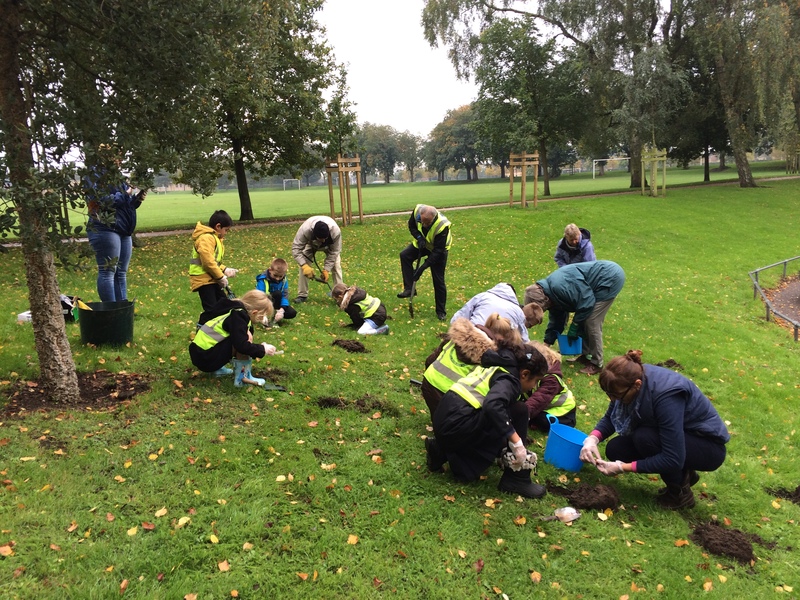 Grey sky didn’t dampen their bright eager spirits as they happily assisted Eaton Park Ground Force volunteers plant crocus and narcissi bulbs. Ground Force members turned over patches of soil on the grassy bank that slopes down to the Community Centre Car Park near the North Park Avenue walk-in entrance. 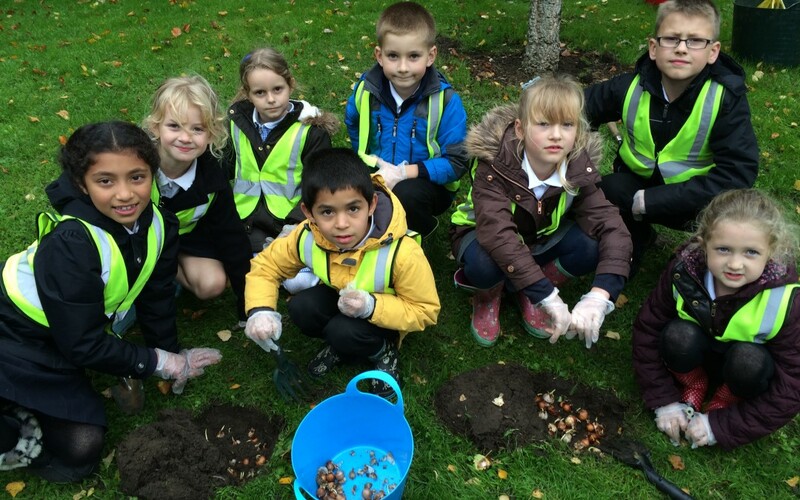 Students sprinkled handfuls of bulbs into the open ground. 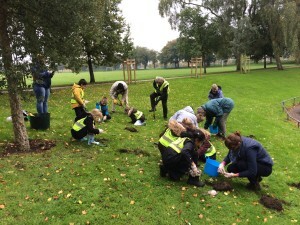 Volunteers and children work together planting bulbs. The spring flowers will provide nectar for early insects.